Here's Roman Quinn (follow him on Twitter at @baseballswag4--yes, that's right, @BASEBALLSWAG4!!!! 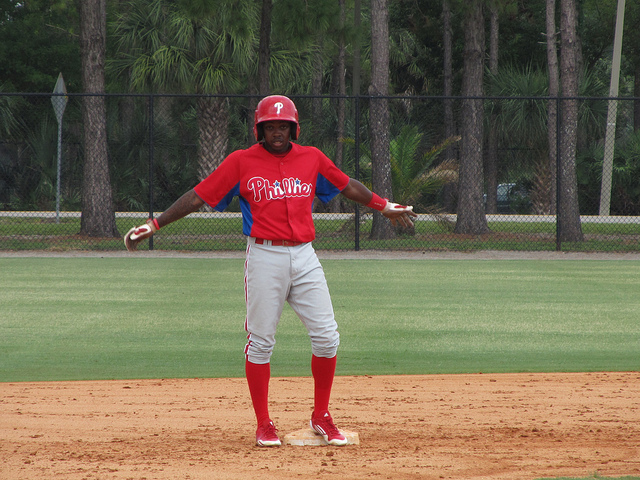 ), 19 year old Phillies shortstop prospect circling the bases in about four and a half seconds. The 2023 Swag-O-Meter would appear to be in good hands.